The Board has signed a contract for the provision of services for the preparation of the Strategic Plan of the Sewerage Board of Limassol-Amathus (SBLA). The object of the contract is the provision of services for the preparation of the financial model for the next twenty (20) years, as well as the preparation of the Board’s Strategic Plan, an implementation plan, quarterly budget reports and the provision of support services/supplementary services for the updating and upgrading of the contract’s deliverables for two years. The Strategic Plan includes forecasts regarding financial issues expected to concern the Board over the course of the next 20 years. At the heart of this plan, which will be subject to constant revisions and updates, will be three-year development plans and provisional forecasts for the Medium-Term Development Plan. 2. Medium-Term Development Plan 2016-2021. Sewage charges for the period 2017-2021. As noted above, the Board has prepared its 20-year Strategic Plan for the period 2017-2037. Due to the financial crisis and the delays in government decision-making as regards the co-funding of projects, preparation of the medium-term plan for the period 2017-2021 is due to be completed in 2017. It will be based on the above-mentioned new Strategic Plan 2017-2037 and will cover the period 2017-2021, in accordance with the projects that are planned for the next five years, as described in detail in Section 9.3. Given the changes to the Board of Directors of the Organisation as of 1/1/2017, the new five-year development plan, with the proposed outline of sewage charges for the period 2018-2022, has been approved, bearing in mind the challenges and the new reality described in the present Report. 3.1 Contract Ε10: Construction of a new pumping station next to Limassol Port, to serve new areas that will be connected to the system, with a budget of approximately €8-€9 million (incl. VAT). The tender is due for publication at the start of 2017. 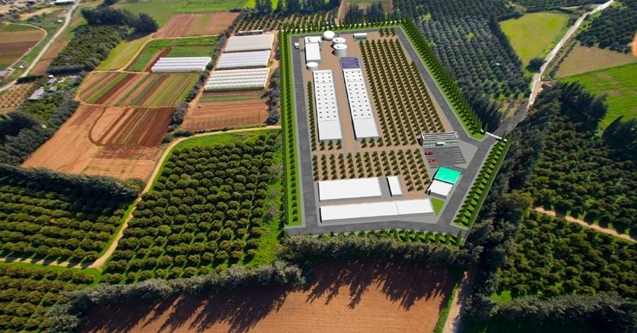 3.2 Contract Ε13: Construction of a new wastewater treatment plant on the west side of the town, near the 1st Limassol Industrial Area, with a capacity of 13,000 m3/day with a budget of €22 million (€31 million incl. VAT, etc.) for the construction and some €10 million (incl. VAT) for its operation for 10 years. Tenders have been received in the context of the published call and the winning one is due to be awarded. This contract is included in those due to be co-funded by the European Commission’s ”Competitiveness and Sustainable Development” programme for the planning period 2014-2020. 3.3 Contract Ε14: Upgrading and refurbishment of the main gravity and pressure catchment pipe for a budget of €7-€8 million (incl. VAT). Tenders are expected to be published in mid-2017. 3.5 Contract Ε17: Construction of the sewerage system in the villages of Pyrgos and Parejkklishia with a budget of around €14 million (incl. VAT and other expenses €18 million) with a 20% contribution from the Board and the remaining 80% from the Government and/or EU funds, in accordance with Ministerial Council decisions 62.728 και 67.400 of 13/10/2005 and 25/6/2008 respectively. The Tender for the contract to prepare studies has been awarded. Tenders for allocating the construction projects to contractors are expected to be published in 2018. This project will be co-funded by EU Cohesion Funds, which will cover part of the Government’s share. 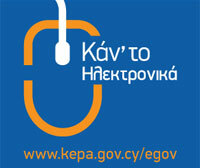 The Board’s contribution will be covered by its loan ΤΑΣΕ FP 1702 (2010). 3.6 Anti-flooding works: The undertaking of anti-flooding works in Greater Limassol with a budget of approximately €30 million (incl. VAT and other expenses), with a Government contribution of €16.5 million (approx. 60%) and an amount of some €13 million from SBLA. Most of these works were part of a planned series postponed due to the events of March 2013 and following the relevant instructions from the Government. As noted in Section 6.9.1, the Ministry of Agriculture, Rural Development and Environment has committed to submitting a proposal to the Council of Ministers for approval. 3.7 Contract Ε19: Regarding the completion of the Palodhia village sewerage project, instructions are awaited from the responsible government departments. The Board has sent a number of letters asking for government approval to proceed with and implement this project, provided that the residents pay their charges dating back to 2010. 3.8 Western villages sewerage scheme: Implementation of the sewage scheme on five western villages (Ypsonas, Kolossi, Erimi, Trachoni and Episkopi) has been frozen and, according to a written statement issued by the Water Board, is planned for some time after 2020. Table 10 below contains all the planned projects described in detail in Section 9.6 with their budgeted costs. 5. Total costs of projects completed or due to be completed by 2021. The total cost of projects completed by 31/12/2015 and of those which will be completed by 2021 is listed below by category. The figures include all expenses, including VAT. As can be seen in Table 10 below, the total cost of projects until 2021 is expected to amount to some €433 million. Note: These forecasts are provisional and they will change to some degree when the Board draws up its strategy for the coming years on the basis of the Strategic Plan and the new Medium-Term Development Plan 2017-2021.